Spirit: Shadow, Responsibility, Spirituality, Beliefs. Places to visit: Greenland, Cuba, Burma. Things to learn: Chiropractor Training, Magic Tricks, Wrestling. While many Sagittarius representatives couldn’t wait for 2016 to be over, it won’t come as a surprise that 2017 will continue in the same manner. The pressure of Saturn in your sign won’t get any easier yet. It is best to come to terms with this fact and accept that this year, along with the previous one, serves to teach you a lesson on responsibility, faith, and the flow of circumstances that are out of your control. It is a good thing that Jupiter is in the sign of Libra, giving a touch of luck to all things you come in contact with, and however hard some situations might get, you’ll have the optimism and the support of your friends to endure. Your sign’s ruler will be in its shadow, moving through its retrograde zone even before the year begins, only to start its backwards motion in February. Luckily, this is also a month when Mars will move through Aries giving you the healthy energy you need and a strong focus towards your desired destination. As soon as Jupiter turns forwards and makes you feel hopeful again, it will enter Scorpio and hide in your twelfth house. This is why autumn will bring many secret benefactors to the world of Sagittarius representatives, especially those who accepted the pressure of Saturn and worked hard enough towards their goals. As it is always the case with Saturn, things will really start feeling tiresome and sad at the end of its visit to your sign. The most challenging time will come around your birthday, for you will already be fed up with negative experiences and the spasm you have been living in for a while. Sleep long hours and rest whenever you get a chance, and you will see the world regain color once again. This is the time when you are open for the “other worlds” and it gives you the opportunity to get in touch with the Universal thought, find God, or simply believe in being in the right place at the right time. Relax and remember that everything happens for a reason. For a while longer, your cognitive functions will be strangely impaired. This is a year when you could develop problems with your eyesight, especially if you are surrounded by things you don’t want to see or accept in your life. Widen your horizons to see the bigger picture and to avoid migraines and splitting headaches that don’t have much to do with the amount of coffee you drank in the morning. This is a time for a healthy routine, a lifestyle that respects your stomach, and a perfect time for dieting and getting thinner if this is what you want, as well as giving up on smoking or other nasty habits you have gathered recently. In August, your batteries will be filled up and you’ll feel ready to take on any challenges along the way, while the autumn brings a drop of immunity. This is the time to eat plenty and take as much vitamin as needed. This is rather a time to clear up your relationships than start many new ones. 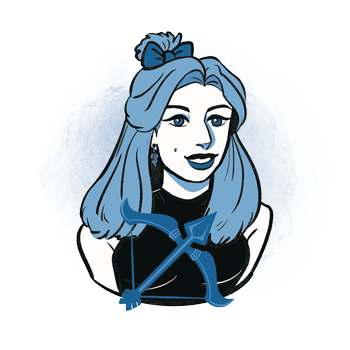 Although the sign of Libra represents your eleventh house and has to be full of surprises and unexpected turns, this is likely to face you with the concept of a lack of friendship in your romance, or vice versa. You will spend the entire first half of this year weighing people around you, not nearly as emotional as you feel the need to be. Once Jupiter finds its way to Scorpio, you will feel emotions burst back in, making you more sensitive than you’ll be able to accept and control. This is a time to find your own value and the love your carry within to nurture, cherish, and treasure yourself. If you find the love for you, love will find you in outer circumstances too. Don’t give up on your romantic ideals or get trapped in a loveless union just because you think the time for some choices has come. If you want to make money, you’ll either have to work in the dark, at night, third shifts and with shady characters, and maybe even disrespecting the law, or you’ll just have to wait for the middle of October for things to finally look up. Saturn makes you poor, not only in financial aspects of life but narrows your state of mind and makes you worried about existential matters. Don’t give in to the pull of its gravity and be as giving and caring as you usually are. If you want to meet the need of Saturn in your sign, try working hard, while being slower and more cautious when making large steps. 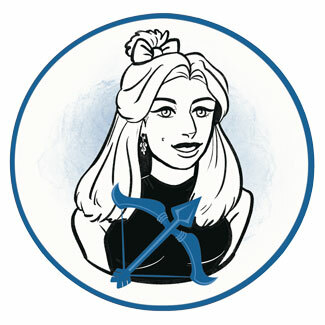 Sagittarius Horoscopes - daily, weekly and monthly Sagittarius horoscopes..